On the day I presided at the Eucharist for the first time, I noticed that all the women in the congregation were in tears. 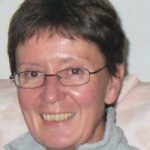 It was a revelation – my ordination as a woman had empowered them! Peter trained at St Paul’s Theological College in Grahamstown (1981-1982). The ordinands’ wives attended meetings intended to help us adjust to the supportive role we were expected to play. Many of the women resisted the idea of being clergy wives. “It’s his calling”, they protested, “don’t expect me to get involved!” I, on the other hand, felt as called to serve God as Peter did, but in a traditionally help-meet role. I wasn’t keen to learn about polishing brass or arranging flowers, but I was interested in theology, so I asked the RevdDuncan Buchanan (then Warden of the College) if I could attend some of the lectures with Peter. He consented, but the other male students were not too happy when I started doing better than they did in the assignments! Two years after Peter was ordained priest, we were at theological college again. Peter wasasked to lecture at St Bede’s Theological College in Mthatha. 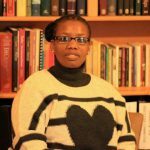 The Principal at the time was the RevdNjongonkuluNdungane, and he was the first to suggest that God might be calling meto ordained ministry. He invited me onto the staff of St Bede’s, since I had a degree with Biblical Studies as a major. This was a baptism of fire for me. All the students were male and most were vehemently opposed to the ordination of women. My presence on the staff caused much heated debate. I began to devour books on feminist theology so that I could be more informed in the debate. I believed women should be ordained – as long as it wasn’t me! After three years at St Bede’s, we moved our family to Johannesburg. The Revd Peter Gunning encouraged me to join FOV, which I did for a while and eventually attended Discernment Conference. I was still not convinced of my calling and was highly relieved when I received a “no” letter from the Bishop! But after a second Discernment Conference, my letter from the Bishop said “yes”. By now I had realised that it is futile to argue with God, and I went on to be made Deacon in 1995 and priest in 1996. It has been an exciting journey – challenging, humbling, heartbreaking. 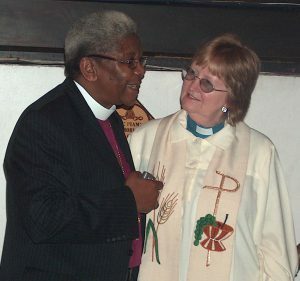 I was the first woman Archdeacon in the Diocese of Johannesburg, but I preferred being a Rector. 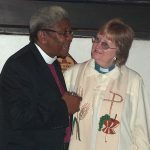 I have served in five different parishes (first Johannesburg, then Natal). What a privilege to be a priest, to travel alongside so many beautiful and interesting people, to have the joy of seeing God heal and transform lives. I am so thankful to have lived at this time, when as a woman I could be minister of Jesus’ grace to God’s people.